I wish I DIDN'T understand how a moron like this gets elected! 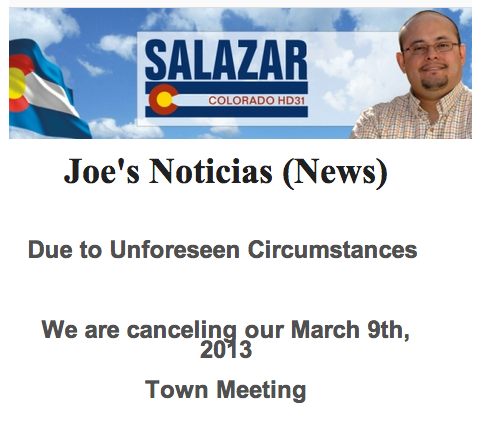 This Salazar guy is a schmuck. Why is it that everybody in Colorado politics with this last name is a few IQ points from needing to be watered twice weekly? The people that voted this guy in are stupid. Plain and simple. Weak. But that is what I expect from these Democrats. They are starting to remind me of the kids that when confronted on the issues head on, they pick up their toys and leave. Come on Joe, you made your statement now hear what we the people have to say! He's just practicing being out of office…. GREAT idea, Joe, as you soon will be…. The whole family is corrupt! I guess he really doesn't work for "we the people" but picks up his paychecks from somebodys PAC.